View More In Computer Cable Adapters. 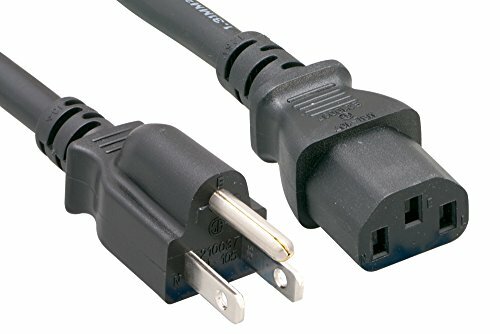 This NEMA 5-15P to IEC C13, is the standard power cable used by many computers and computer peripherals. Great for replacing incorrectly sized or damaged cables. Thick 16AWG cable is fully molded and durable. Manufacturer: Comtop Connectivity Solutions, Inc. Publisher: Comtop Connectivity Solutions, Inc. Studio: Comtop Connectivity Solutions, Inc. If you have any questions about this product by Cablelera, contact us by completing and submitting the form below. If you are looking for a specif part number, please include it with your message.